Many property purchasers set their sights on buying a flat in Battersea and Brixton because both areas have excellent transport links, Ofsted-rated local schools and a wealth of green, open space on the doorstep. 1. How many years are left on the lease? No two leases are the same, but many granted for new-build properties run for 99 years, although their length is now more commonly 125 years, while some developers provide 999-year leases on apartments. This length of time is likely to exceed the number of years a leasehold property’s first owner will live in the flat, but it should be remembered that ownership of a leasehold home will revert back to the freeholder once the lease runs out. This is why a leasehold interest is a diminishing asset. At the beginning of a long lease there will be little difference in value per square foot between a freehold and a leasehold property in the same area. As the lease gets shorter, however, the leasehold property reduces in value long before the agreement is due to expire. This is, in part, because once a lease has less than 80 years remaining, it becomes more expensive to renew. Under the Leasehold Reform, Housing and Urban Development Act 1993, the owner of the freehold, who is often referred to as the landlord, is entitled to half of the increase in the value of the property when a lease with less than 80 years to run is extended. This is called the marriage fee because when the value of the property and longer lease are combined (or married together) they exceed the combined value of the separate entities. Not only that, potential purchasers of flats with leases of under 80 years remaining could find it harder to obtain a mortgage on the property, which is highly likely to devalue their sale value. 2. How much is the ground rent and when is it payable? This is the fee payable to the landlord on an annual or half-yearly basis. While it is usually a token payment in the region of £200 or £300 a year for properties in Battersea and Brixton, and in rare cases zero, some landlords can charge thousands of pounds each year. Beware that the landlords of many new-build developments in Battersea and Brixton are now inserting clauses into the leases they provide that state the ground rent will increase every 10 years. 3. What are the service charges and what do they cover? To cover the costs of maintaining the fabric of the building and the shared areas of the development, the landlord or managing agent will charge ground rent. While fees vary depending on the size of the development or value of the flat, some service charges include contributions to a reserve or sinking fund that is used to cover large one-off bills, such as the repair of the building’s roof. 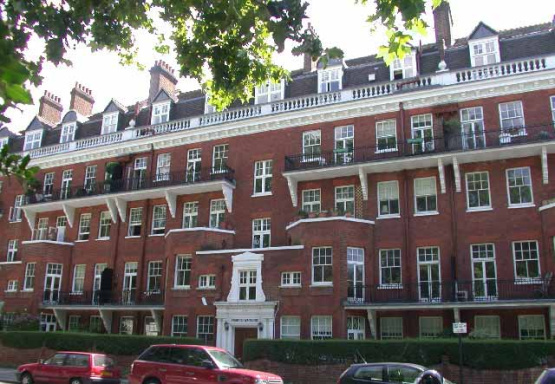 For further information about leasehold property for sale in Battersea and Brixton,contact Eden Harper today.